Once,while we were at a friend's place for dinner,I noticed the raita tasted different from the regular onion-raita.It looked just like a normal raita,onions and tomatoes with curd but yet something was different.When I knew what the reason was I had a grin on my face,now why didn't I think of it before?The very things I used to pick out and remove-coriander leaves and green chillies-were ground into a paste and mixed with curd which made the raita delicious in its own way. Ever since I've been making raita that way.Remember my garden with fresh mint leaves sprouting?Well,I harvested those and they were threatening to wilt and how could I let my fruit of labour go waste,so mint raita was whipped up.This uses the same method,without coriander.You can of course serve this raita plain or add onions,tomatoes or cucumbers into it.Tastes great with a biryani or pulao. 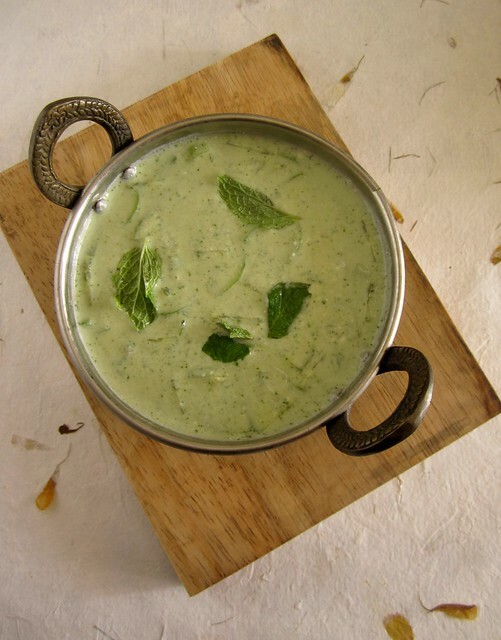 Grind together mint leaves with green chilly,using 1-2 tbsp of curd to a smooth paste. 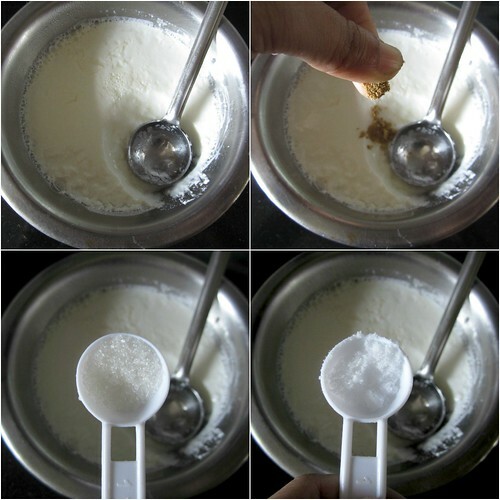 Add jeera powder,sugar and salt to the curd and whip well. Mix in the mint paste and the chopped cucumber. i am going to try this soonish in my kitchen! 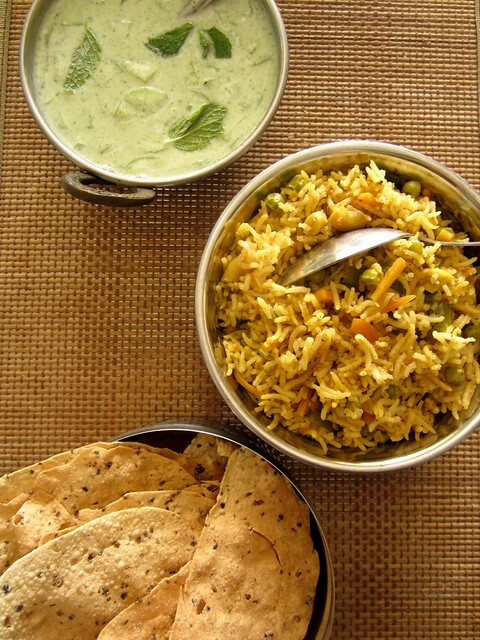 delicious raita and the picture makes me hungry.